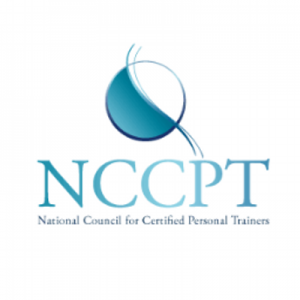 John Platero is the founder and CEO of the National Council of Certified Personal Trainers (N. C. C. P. T.) and Smart Fitness which has educated and certified thousands of personal trainers both nationally and internationally. As if starting and growing a thriving business wasn’t enough, Mr. Platero simultaneously was the National Director for LA Fitness. He recruited, staffed and provided education hundreds of trainers during his eight-year tenure there beginning in 1996. In March 2003, Platero left LA Fitness to focus all his efforts consulting and the National Council of Certified Personal Trainers. He was one of the original members of the IDEA board of directors for Personal Trainers and continues to teach Health & Fitness. 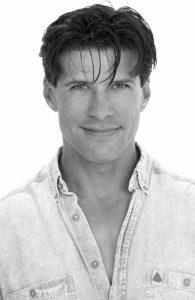 He has appeared on numerous talk shows and has written articles on personal training and fitness for Muscle & Fitness, Shape Magazine, Muscle Mag, MAX, Oxygen Magazine, Ladies Home Journals, Exercise for Men and Ventana to name just a few. Mr. Platero also authored the N.C.C.P.T.’s basic personal training manual. In 1999, the prolific Platero wrote, produced and was featured in an infomercial, How to Become a Personal Trainer, which aired nationwide on ESPN, Fox Sports, Lifetime, E! Entertainment, MTV, the Learning Channel and VH-1. His first producing foray, How to Be Financially Successful as a Personal Trainer, has helped many personal trainers start their own business. Since then, he has produced and written a multitude of educational content for fitness professionals delivered via the internet. He was a main host for the show “Eye on Fitness” and appeared in other fitness related infomercials such as the AB Revolutionizer which played here in the US and Europe. All these accomplishments could not have been achieved without Platero’s continued thirst for knowledge. Early on, while attending elementary school in Helena, Montana, he was diagnosed by doctors as a “compulsive learner.” That title served him well. Platero has completed 35 fitness certifications from organizations such as ACSM, ACE, AFAA, ISSA, NASM, NBFE and the NSCA along with the distinction of “Mastery Level” from The Resistance University. He has a B.A. in Sports Recreational Management and a dual MSS in Sports Medicine and Health and Fitness with an emphasis in personal training. Since 2008 John has competed internationally as a cyclist to win over 40 medals in cycling, including two national championships and three gold medals at the Master’s Pan American games. His athletic pursuits began with his interest in bodybuilding competitions. He placed third in the Mr. Teenage Florida contest and won the IFBB, Mr. South Florida in 1978. Mr. Platero also has appeared on a variety of talk shows, including The Tonight Show with Jay Leno, Sally Jesse Raphael and AM Los Angeles. Always on the go — training, teaching, cycling — John makes his home in Southern, California. For more information concerning videos, seminars or workshops, you can call 1-800-778-6060 or through the internet at johnplatero.com or nccpt.com.